Passwords. Everybody needs them, nobody likes them. 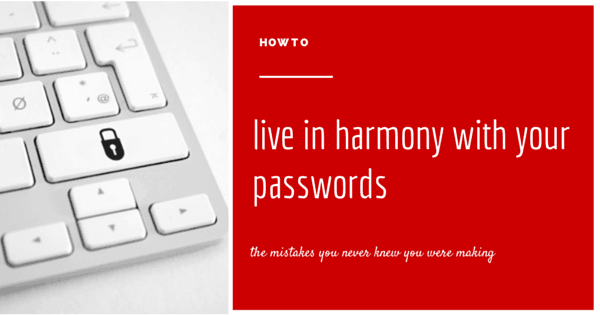 The purpose of this article is to teach you how to live in harmony with your passwords using a fantastic free password manager called LastPass. But before we get into that, let's look at the problem so you can understand why a change is necessary. The shift to the cloud has made our lives easier. Online services are replacing things that our computers used to do, and to take advantage, all you have to do is sign up. Along with all of these new logins, comes more passwords. What's a “connected” person to do? You see people getting totally messed up by their passwords on a daily basis. All of a sudden your friend is posting strange messages on your Facebook wall. It turns out their account was hacked. Or worse, an email account is hacked and used to send out marketing emails for male enhancement drugs in broken english. Inevitably when you hear these stories, you say to yourself “I really need to have better passwords”. Your passwords shouldn't be obvious. No using: your name, the name of the website, common words, etc. How the Hell Do I Remember Them? So you're all fired up about your passwords and you start coming up with unique ones. You change your email and bank passwords to be different. You stop using all lowercase words and mix things up with numbers and symbols. Great! You're well on your way to securing your internet identity. But now you have a new problem. Every time you have to log in, you can't remember the password. You need a secure system for managing your passwords. Saved passwords in FireFox, Google Chrome, ETC. The big idea behind LastPass is that once you put all your passwords behind one master password. Then LastPass is able to automatically log you in to all of the sites you need. It's the “last password” that you'll have to remember. Hence the name LastPass. LastPass is a browser add-on available for most modern browsers. When you install it, it can automatically import passwords that you saved with your browser (insecure) and put them into it's encrypted vault (secure). Because your passwords are encrypted when they are stored at LastPass, they are essentially scrambled without your master password. 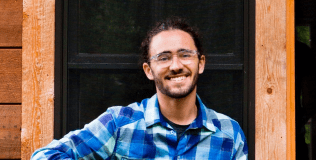 The people at LastPass couldn't see your passwords if they wanted to. As is one of the tenets of Cloud Coach, technology should never be a barrier for getting things done for you. Though it seems simple, the fear and frustration that you feel about your passwords may prevent you from wanting to use technology at all. They are a barrier to getting things done, and a huge hassle when they are forgotten. Using LastPass, you can effectively remove the Password problem from your life so you can focus on what really matters.